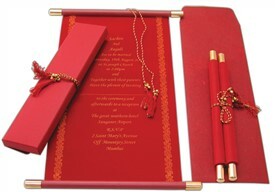 S95, Red Color, Scroll Invitations, Jewish Invitations, Box Scrolls, Fabric Scrolls. 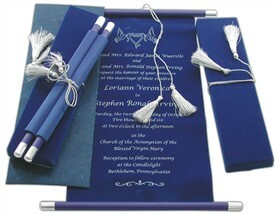 The true reminiscent of the royal signature! 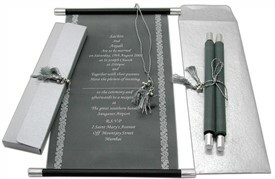 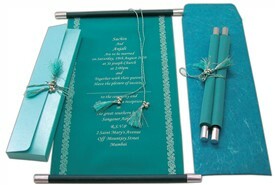 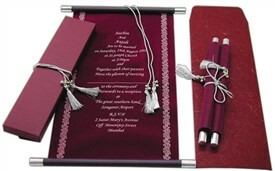 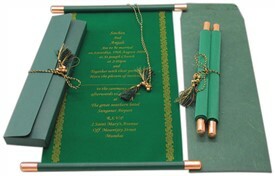 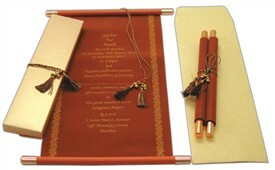 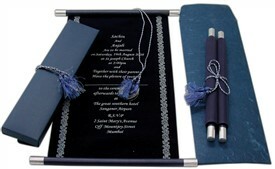 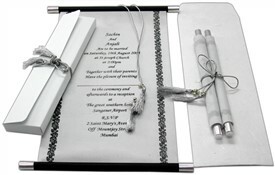 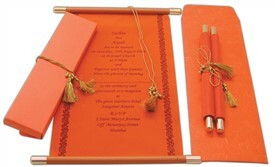 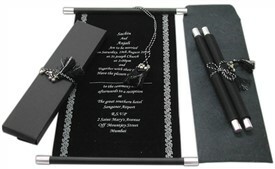 The card has silver colored tassel and bars and the box envelope has the silver ribbon. 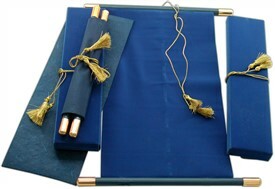 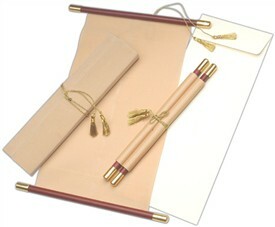 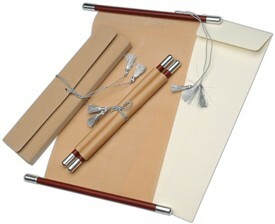 Box Scrolls Card, Fabric Scrolls Card.